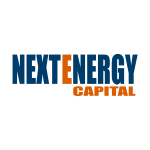 NextEnergy Capital Group (“NEC”), the leading international solar investment and asset manager with solar AUM of US$1.4bn, announces an additional and final investment into NextPower II, its private equity fund focused on acquiring operating solar power projects in Italy. NextPower II, which consists of a portfolio of existing solar projects, has secured supplementary capital of €48 million in addition to prior commitments of €184 million. The total fund commitments have increased to €232 million following the investment. The additional capital has been provided by funds including those managed by Pantheon, an experienced investor in private equity, infrastructure and real assets with over US$42 billion in assets under management. NextPower II’s investment strategy is to consolidate the large but highly fragmented Italian solar market. Since its first close in June 2016, NextPower II has acquired 52 individual operating solar plants with an installed capacity of c.92MWp and has established itself among the top ten solar asset owners in the country.